How Do I Make Sure the IRS Receives My Federal Tax Return on Time? 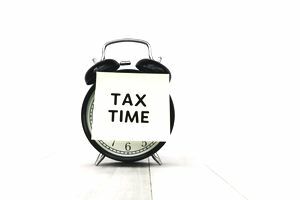 You worked hard on your business or personal tax return, and you want to make sure it gets to the Internal Revenue Service (IRS)—on time, of course. Check the tax return due date for the type of taxes you pay, and remember that the exact date changes each year, depending on whether it falls on a weekday, holiday, or weekend. What Are the Income Tax Due Dates? The IRS will begin accepting tax returns for 2018 on January 29, 2019. Personal tax returns are due April 15, 2019. For sole proprietors and single-member LLCs filing Schedule C along with their personal tax returns for 2018, the due date is April 15, 2019. For partnerships, S corporations, and multiple-member LLCs, Form 1065 is due March 15, 2019, and don't forget to include the Schedule K-1 along with your personal tax return. For corporations with a December 31 year end, a 2018 corporate tax return is due April 15, 2019. Corporations file Form 1120 and S Corporations file Form 1120-S. If your corporation doesn't have a December 31 year end, the return is due on the 15th day of the fourth month after your year-end date. When Does the IRS Consider My Return Mailed? The envelope must be properly addressed. The mailing must have enough postage. If the return is sent by registered mail, the date of registration is the postmark date. If you send a return by certified mail and have your receipt postmarked, the date of the receipt is the postmark date. Tax Tip: The postmark is what counts when mailing your business tax return. Can I Use a Private Delivery Service? The IRS says, "If you use a private delivery service designated by the IRS to send your return, the postmark date generally is the date the private delivery service records in its database or marks on the mailing label." The address to which private delivery service tax returns must be sent is different from the address for your personal tax return. Be sure to check the addresses for private delivery services. United Parcel Service (UPS): UPS Next Day Air Early AM, UPS Next Day Air, UPS Next Day Air Saver, UPS 2nd Day Air, UPS 2nd Day Air A.M., UPS Worldwide Express Plus, UPS Worldwide Express. Instead of using private delivery services, it's usually safer to send business tax returns by certified mail. It costs a little more, but you get a receipt with a postmark on it, and you can go to the USPS website and enter the receipt number to verify that your return was received. The best way to make sure your personal or business tax return is received by the IRS is to e-file. Your return is immediately transmitted to the IRS with a record of transmission. Your tax preparer can take care of this for you, or you can use one of the e-filing options from the IRS. If you use IRS e-file, your return is considered filed on time if the authorized electronic return transmitter postmarks the transmission by the due date. The electronic postmark is a record of when the authorized electronic return transmitter received the transmission of your electronically filed return on its host system. The date and time in your time zone control whether your electronically filed return is timely. What About Filing an Extension Application? You can e-file an extension application or mail it into the IRS. There are two application forms - Form 7004 for corporations and partnerships and Form 4868 for other business types and personal tax returns.